Media Researchers" provides a bridge for instructors by offering a new approach for teaching and learning theory. 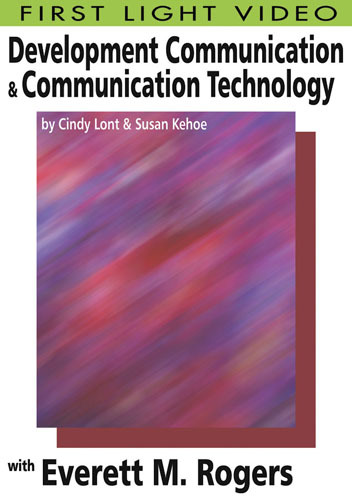 Women and Media by Dr. Cindy Lont is a fast moving program with visuals of past and present media and interviews with Dr. Maurine Beasley, Sheila Gibbons and Junior Bridge, all foundational scholars in the field of women and media. Take students into the Broadcast Booth, production Trailer & on the field, for a realistic, close-up look at the work done by reporters, play-by-play announcers, sports anchors & sports broadcast producers. This program focuses on those who work as media professionals whether they are public relations specialists, journalists, photojournalists, advertising executives, newspaper editors or camera operators. 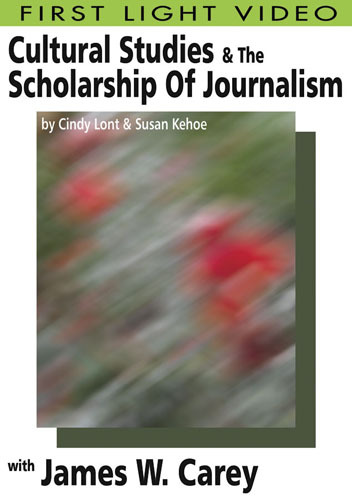 In this program, host Melody Young visits the network studios with reporter Jeanne Ohm out in the field and in the studio. This video series is designed for those who want to be in the field of TV reporting and features interviews from first time reporters, discussing what the job entails and what to expect at your first station. 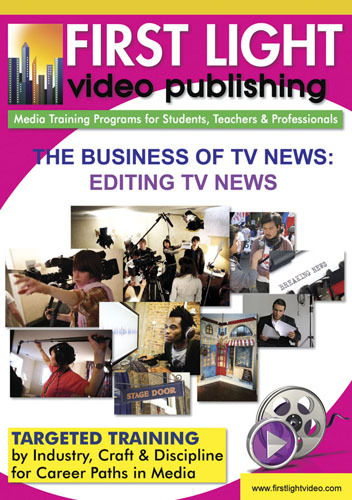 Valuable For Students Ready to Enter TV Broadcasting. This series takes you beyond the text book, beyond the classroom and directly Behind the Scenes of TV news, revealing not just the triumphs of news reporting but the failures and problems too. Follow two stories from assignment to air showing the contrast between the rookie and the veteran - First year reporter Robert Hughes - KWST, Yuma, AZ - and KGTV San Diegos Sal Rivera, a 20 year veteran. 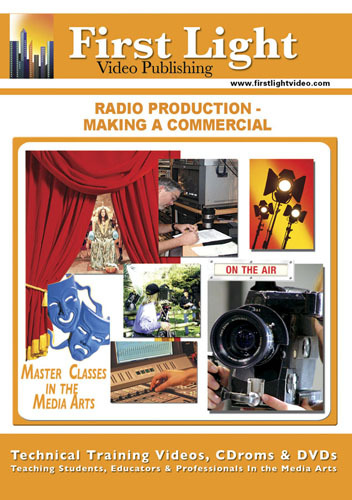 In this program, host Melody Young visits a sports radio talk show host and learns about the equipment, training and excitement of the radio station. 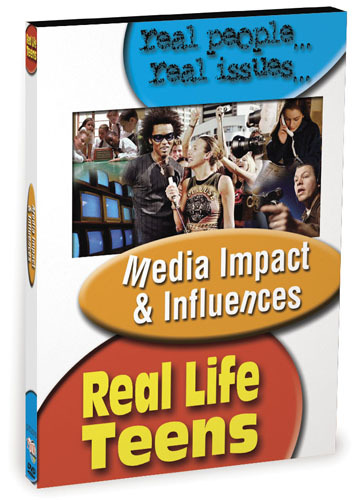 This program discusses the effects of the media on teens. It is designed to help teens feel comfortable discussing these issues as well as the positive and negative effects of the media. 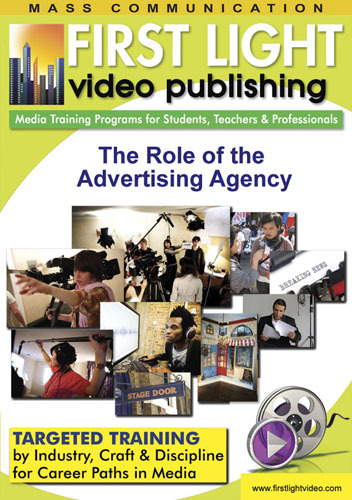 This program features Australian-owned advertising agency Box Emery & Partners, offering a privileged look at the way an agency works and how it produces the materials that will promote the products and services of its clients. 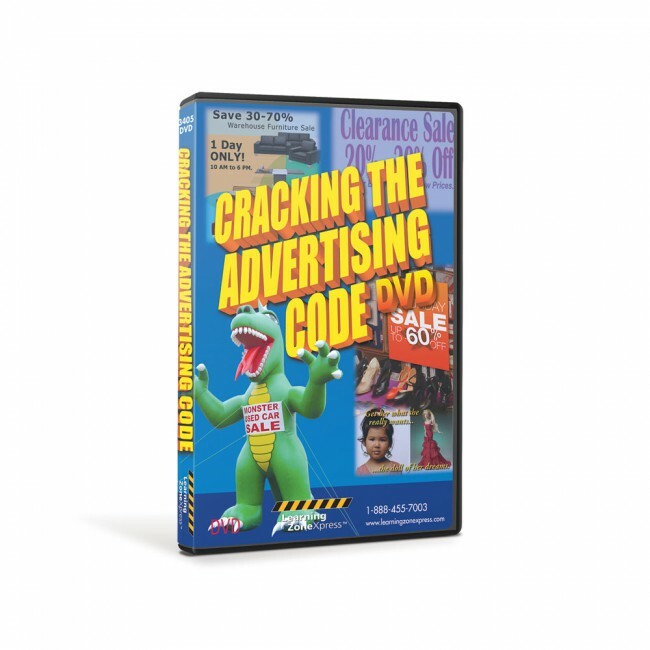 This program looks at the role of research into public attitudes to advertisements and how the results of this research can affect both the sales of the product and the ways in which the product is advertised. 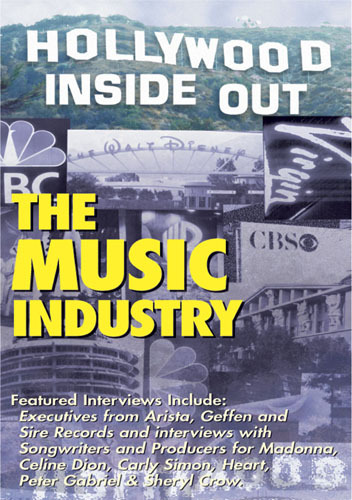 The business and creative aspects of the music industry are fully examined in this detailed instructional video. 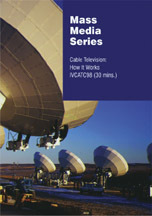 Excellent for use in broadcast courses. 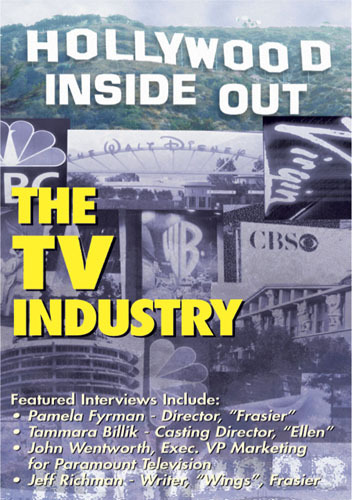 This program shows you why and how cable television was started, reviewing the Head Ed, Distributing system and House Drop while exploring some of the major operations. Viewers will learn how to make good buying decisions by spotting advertising ploys including celebrity endorsement, customer testimony, emotional appeals, and more. Social media tools are being used across all media sources including traditional news outlets and online-based resources. 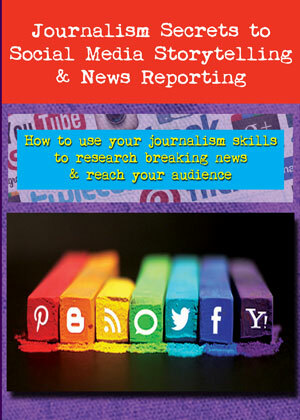 This program focuses on the variety of ways social media is essential to storytelling and news distribution. 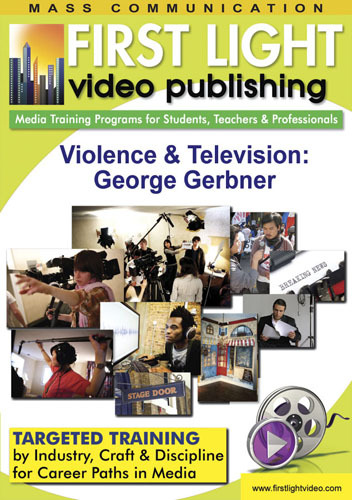 This program is a valuable instructional aide for mass communications and media instructors. Every aspect of a NIKE ad is dissected to reveal the extraordinary path of the making of a TV commercial. The production processes of a humorous insurance commercial is amusingly narrated by producers Street Remley and Bob Dennis. We see them at work with the client and with the actors as the recording session proceeds. Kevin Reece Reporter KHOU CBS Houston Texas is interviewed on location at the site of Hurricane Ike. It could be an earthquake, a tornado, a plane crash or possibly a hurricane at some point in your career the big story is going to break and you better be prepared to tell it..and tell it well. Reporter Kevin explains his approach to the Big Story and how he prepares and delivers. The all important contract with famed broadcast attorney Bob Teaf and Small Market News Director Shannon Maze KWST Yuma, AZ. After years of education, internships and sending out hundreds of demo tapes, you get your first job offer. Stan Chambers - KTLA - 61 year news reporter veteran. Believe it or not there was a time when TV News had no established formats, no set rules on how to cover a story, no tried and true formulas. Sports broadcasting revealed with KUSIs Sports Director Paul Rudy. The TV newscast can be nothing but crime, fires and robberies until we get to the fun and opinionated portion of the news - Sports. Editing TV News - Joshua Sheehan Chief Editor, XETV San Diego, Austin Hill 2nd year news editor, XETV, and Andy Neil, former Chief Editor XETV, now Hollywood Editor.